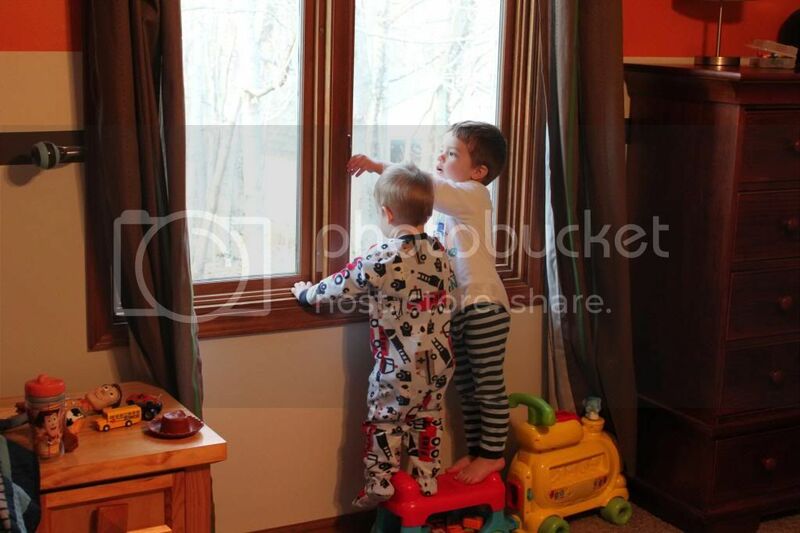 Looking in their room from the hallway. The canvas print you see when you first open their bedroom door. From Target. I love it. This is looking to the left when you walk in the room. Looking back at their bedroom door from the opposite side of the room. The changing table… I rarely use it. Dexter is pretty much too big and the thought of putting Theo on there is hilarious. 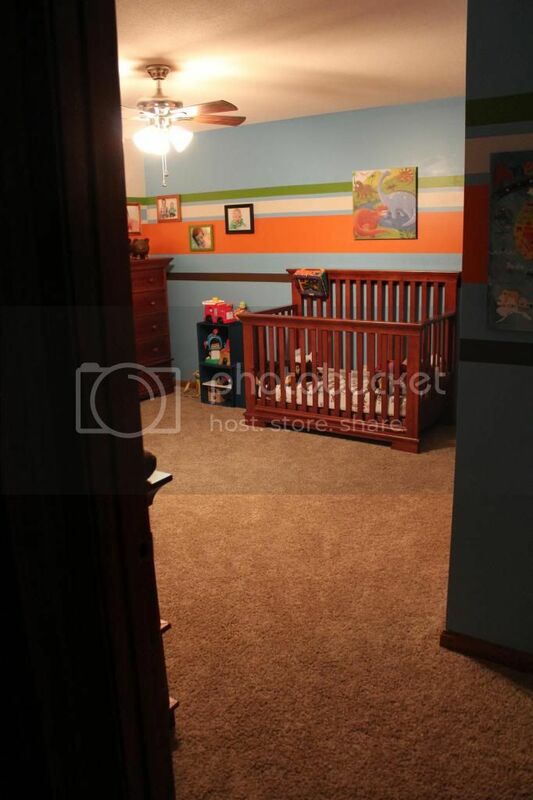 But it’s where we store diapers, wipes, sheets, some blankets, etc. 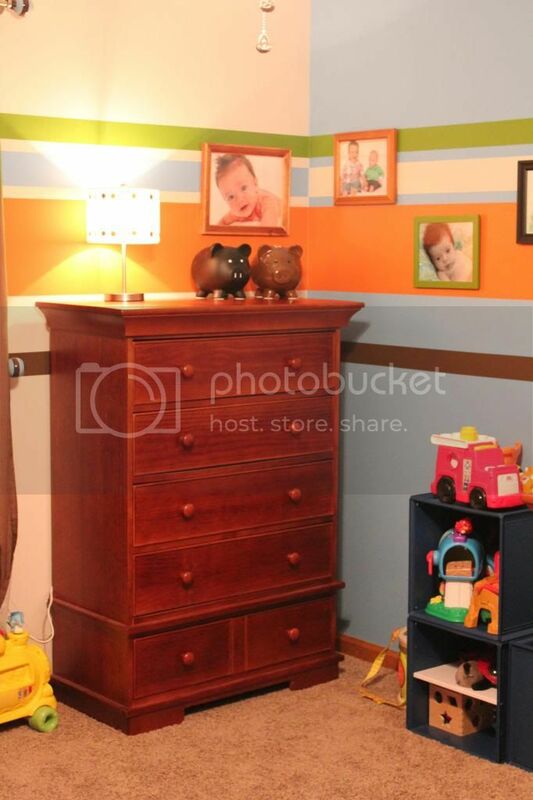 We’ll keep it until we are ready to sell all of the nursery furniture as a set. Their messy but large closet. It could use a lot of reorganizing. 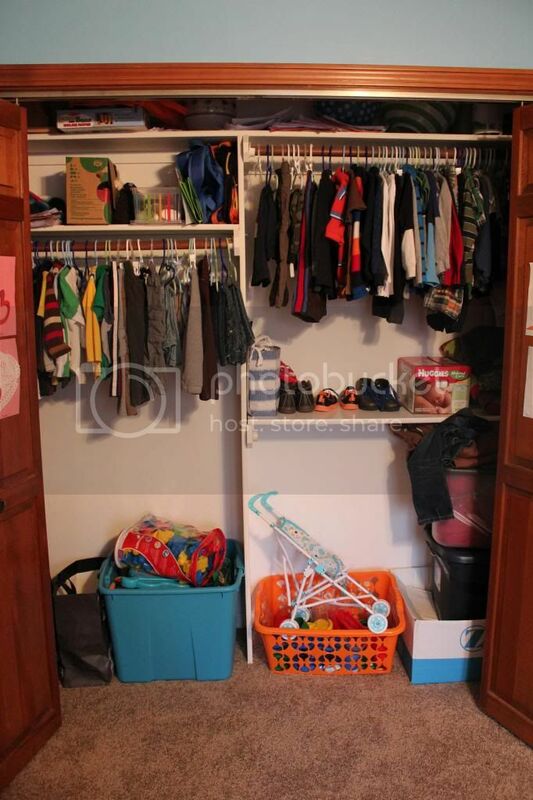 Theo’s clothes are on the right and Dexter’s are on the left. 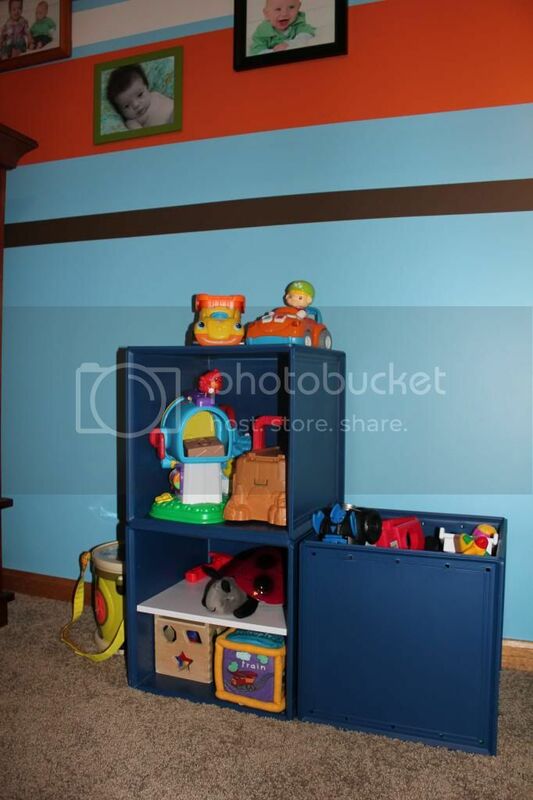 Tubs of toys and clothes. So. Much. Stuff. Dexter’s bed. Opposite of their bedroom door. The hamper gets used for stuffed animals now since we have a laundry chute. 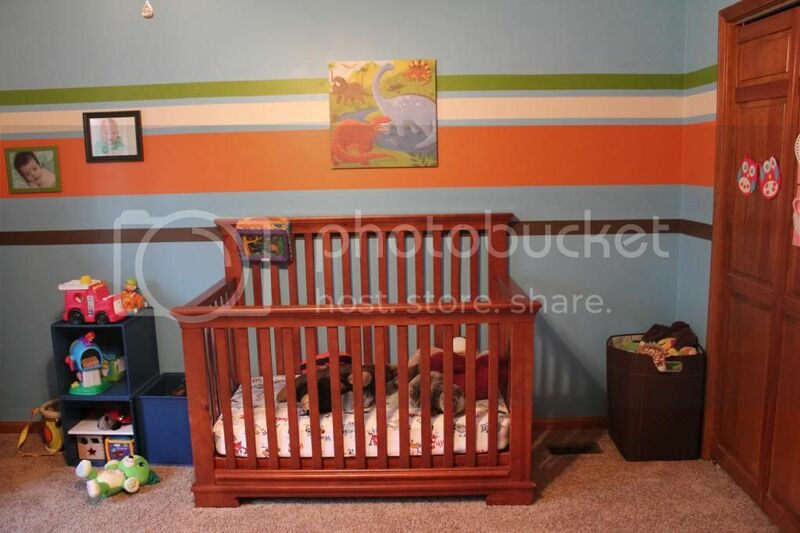 It will be a sad day when we no longer have a baby in a crib…that day is probably coming sooner than later! Toy storage between Dexter’s crib and the dresser. Just another view. Dinosaur canvas print from Target. Cutie pies over the dresser in the corner. 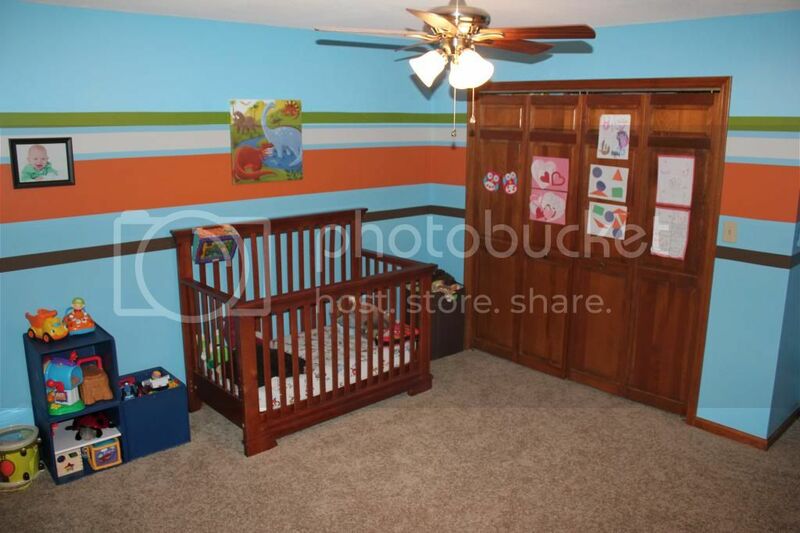 Nursery furniture is from Burlington Coat Factory/Baby Depot. 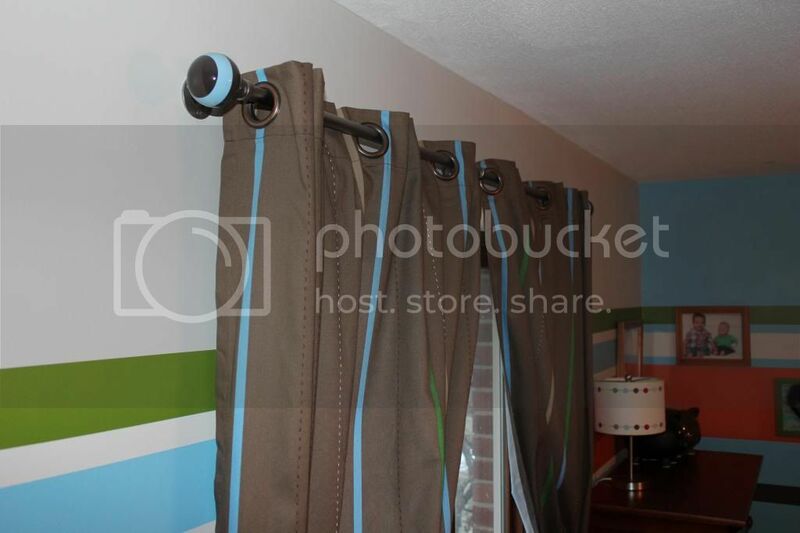 Curtains from Target. 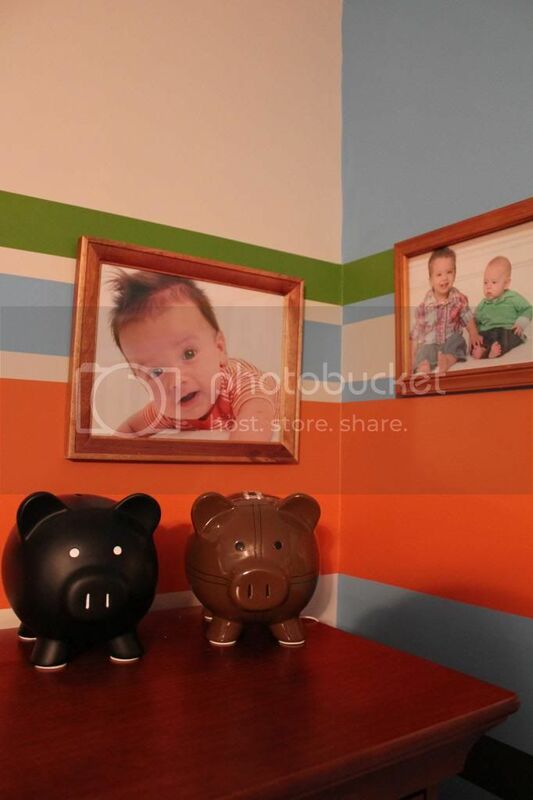 Curtain rod, holdbacks, and finials from Pottery Barn Kids. 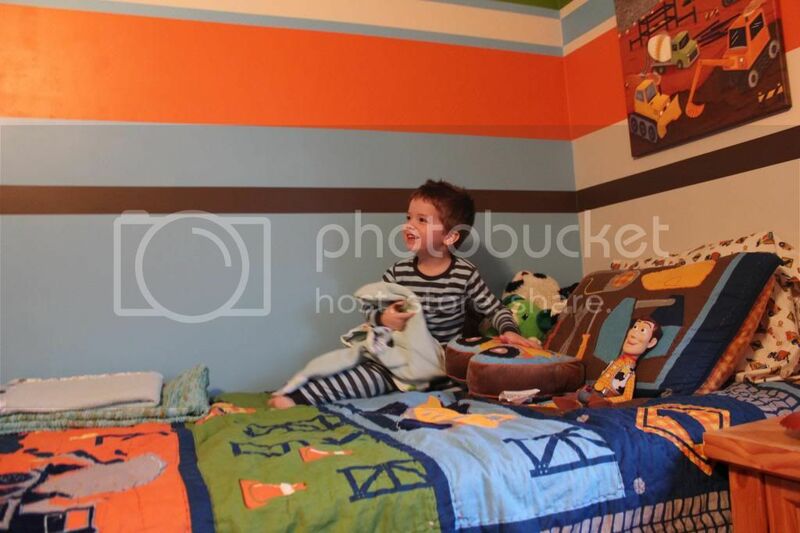 Cute kids by me & R.
Theo’s big boy bed and the inspiration for the paint colors in the room. 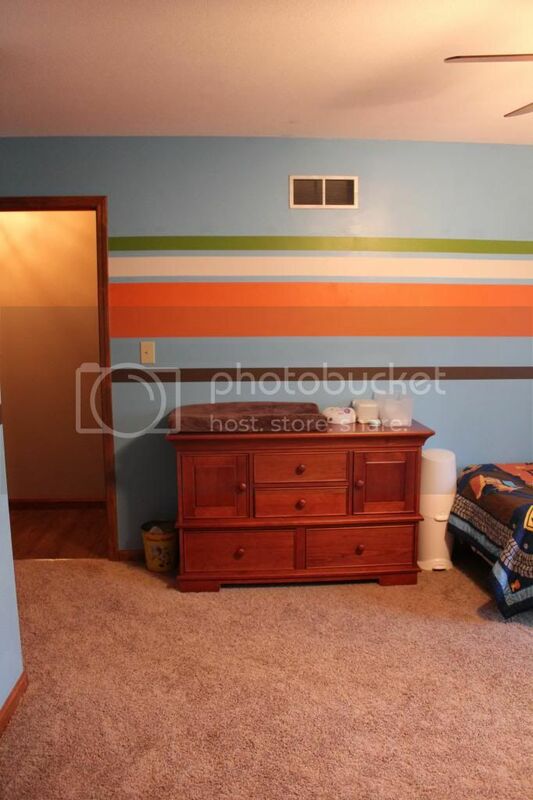 My mom painted the room. She did a fantastic job, didn’t she!? Bedding from Target. 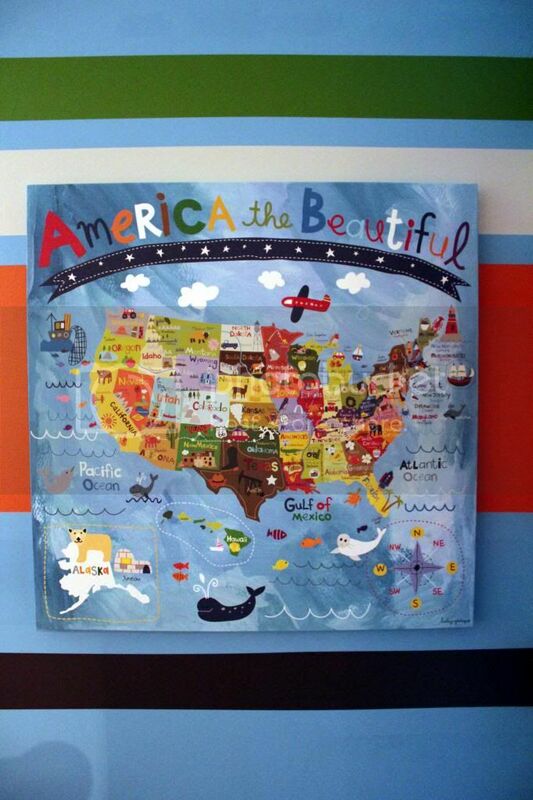 Canvas print from (SURPRISE!) Target. Closer to how it usually looks. 🙂 I feel like this long wall needs something on it. Maybe a better way to display their art (than taping it to their closet doors), but then I worry Theo will mess with it. 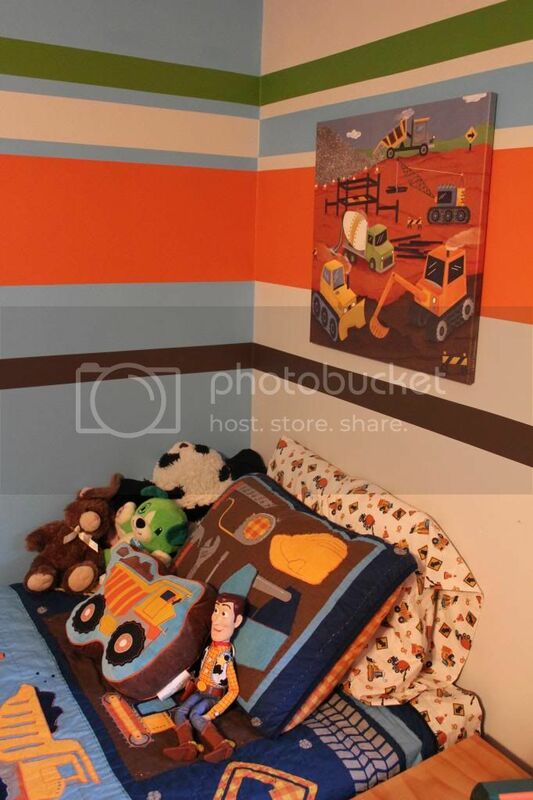 Have to be careful what we hang above his bed. 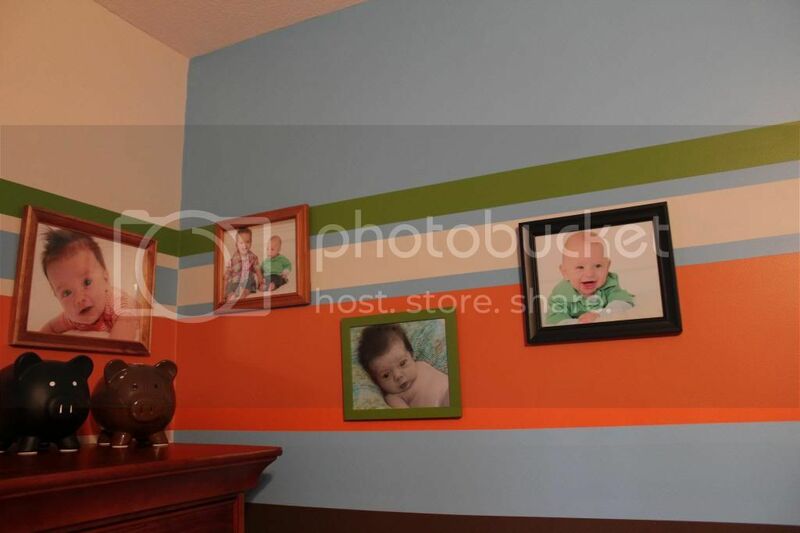 I think their room turned out super cute. I love the colors. 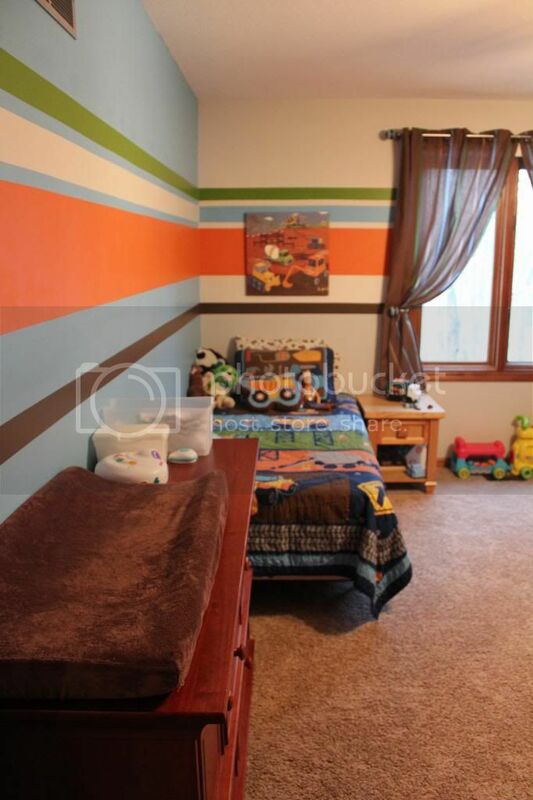 I can’t imagine having this large of a room for one child. Sharing a room has been great for them so far! What’s that you say? Not impressed? Maybe I should have showed you the “Before” photo first. I just wanted to save the best for last. 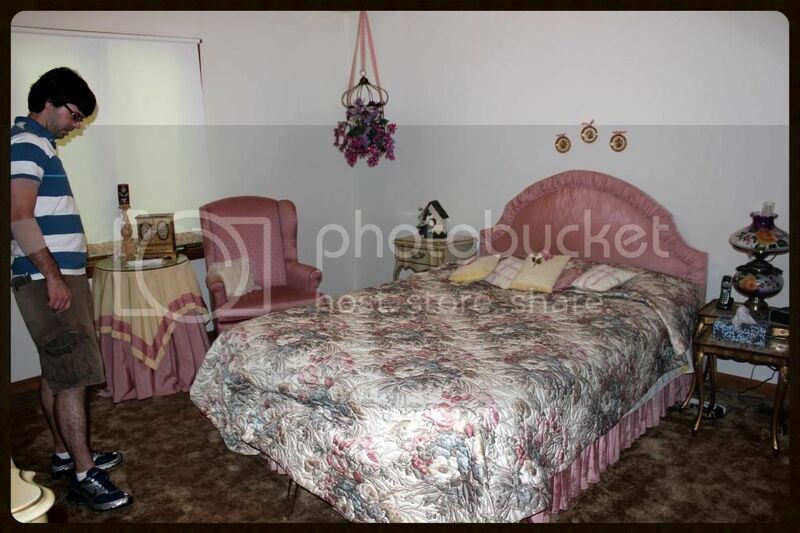 I can assure you — this is the same room in the same house in the same decade. I started to comment the other day on a FB post asking if readers did or didn’t co-sleep and why or why not. My comment started to get lengthy. And then I accidentally deleted it. That was the end of me commenting on that post. We chose from the beginning not to co-sleep. I worked for the Department of Child Services Child Abuse Hotline at the time Theo was born and every child death had to be reported to us. Every unexpected infant death was investigated as a possible abuse/neglect case. We received a startling number of these reports. So the decision, for me, was largely about safety. I did not want me & my baby to become a statistic. I didn’t know what I was getting into – how easy it would be to roll over on an infant, etc. I didn’t know I would sleep lighter than I’d ever imagined for 2 years after becoming a mother…yowzer, that sucked, but is not the point here. (Disclaimer: That’s not to say we didn’t doze off during a nursing session and succumb to the exhaustion more than a couple of times during those very early, sleep-deprived weeks. Being a real parent and not just a lady that worked for DCS, I realize that those suffocations usually involve an altered state due to drug use, alcohol, or some other risk factor that did not pertain to us. But notice that I did say USUALLY. Not always. This is still a strong argument for not co-sleeping with an infant). My decision was not solely based on safety. Someone I knew allowed their child to sleep with them from the beginning and that worked out fine for them. But I knew it wouldn’t work for me. It turned into a situation where the child did not would not go to bed until the parents went to bed. The child ended up sleeping with the parents until age 5 or 6. That’s a lot of child-in-your-bed time if you ask me. And as much as I love playing with those little cherubs, I value my me-time after they go to bed. The child didn’t end up sleeping with the parents for life. I just saw the fight they had to get the kid to go to bed alone and knew that I didn’t want any part of that if I could avoid it. So we were determined from the beginning to a.) not smother our baby and b.) 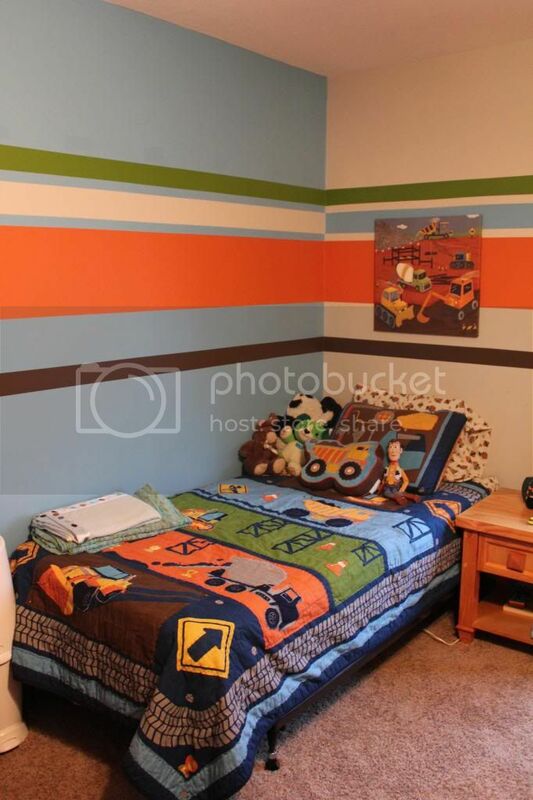 have our grown up bed to our grown up selves. Do I regret our decision? Not really. Sometimes. Occasionally. No, not really. Sorry. I had to sort that out in my head for a second. The only time I regret it is when those cute snuggly little bears do actually crawl into our beds and fall asleep in my arms. 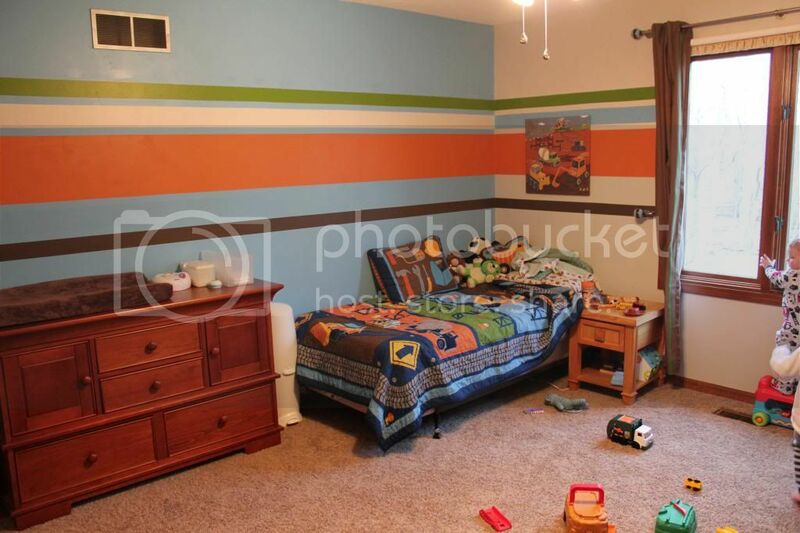 They learned to sleep in their beds from the beginning – not to say we didn’t rock them, etc. Gah I sound so cruel and cold. WE ARE VERY LOVING, okay? Anyway, they learned to sleep in their beds early on so they don’t seem to need that closeness to fall asleep now that they are 1 & 3. However, there is the random occasion when this happens and all I can do is stare at their sweet, peaceful faces and soak it all in. I let my mind wander off to consider what life would be like if we had let them sleep with us all this time. Would they be more snuggly now? They wouldn’t sleep with us forever, after all. 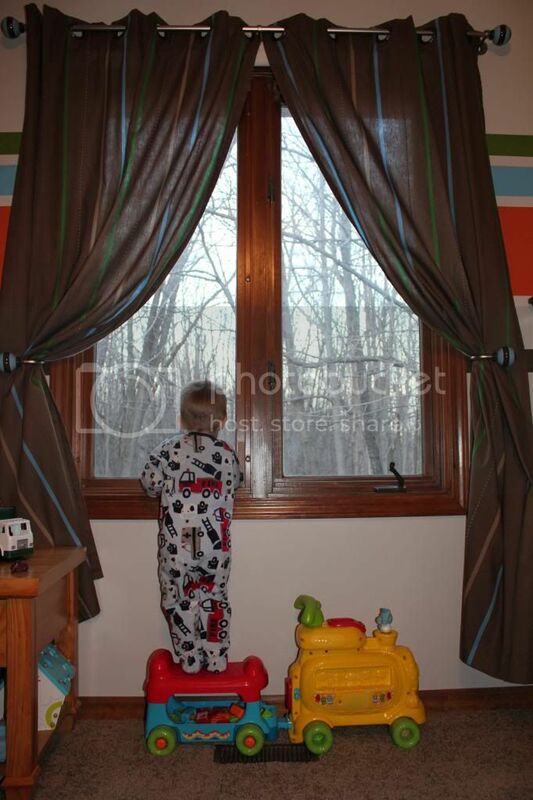 Childhood goes by so quickly and the years are short, even when the days and nights are long. Then, while I’m kissing a baby-smooth forehead and smelling a head full of silky hair, the thought starts creeping into my mind, should I have let him sleep with us? Is he going to think this is how it’s going to be from now on? Don’t worry, I’m able to snap out of it and enjoy the moment. Unfortunately, these moments are all too rare. I’ll have to enjoy our snuggles on the couch and before bedtime because these boys are not even interested in sleeping with mom and dad 364 days a year. Ultimately, I do not have any regrets. We’ve been lucky in the sleep department for the most part and this lifestyle works for our family. And that’s all that matters. My most embarrassing moment post (remember the one where I peed in a sippy cup that wasn’t big enough?) was determined to be funny enough by Mrs. Hilarious herself, Julie over at I Like Beer and Babies, to be featured on The Confessional today, a gut-busting series of parenting blunders that she hosts. I’m so tremendously flattered! And if you don’t read her blog, well… why not?? What’s wrong with you?